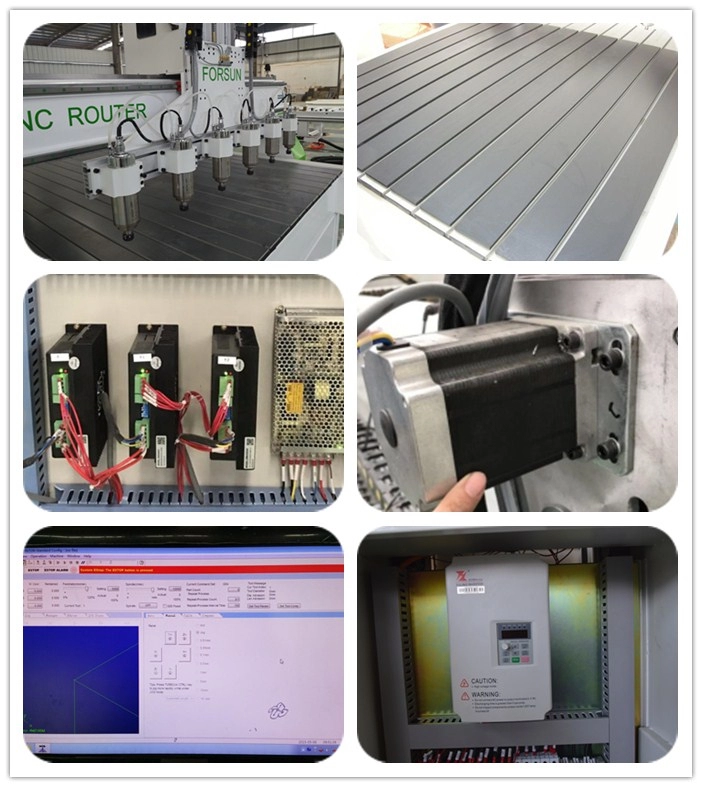 ♦ Multi-spinlde cnc router machine with heavy duty welded structure. 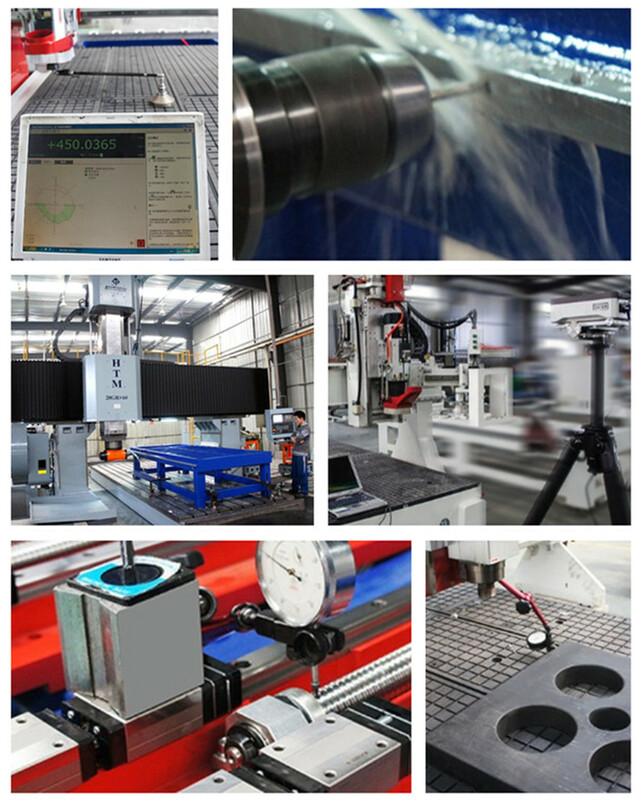 ♦ 2.2 kw water cooling spindle with 24000r/min x 6 sets,could suitable for mass production. ♦ Fast speed and high precision. ♦ NC studio Controller ;computer operation ;convenient and intuitive. ♦ HIWIN linear rail from Taiwan for 3 aixs, more stable, it's lifetime is 10 times longer than common rail way. ♥ Furniture industries: cabinet doors, wooden doors, solid woods, plates, antique furniture, doors, windows, desks and chairs. 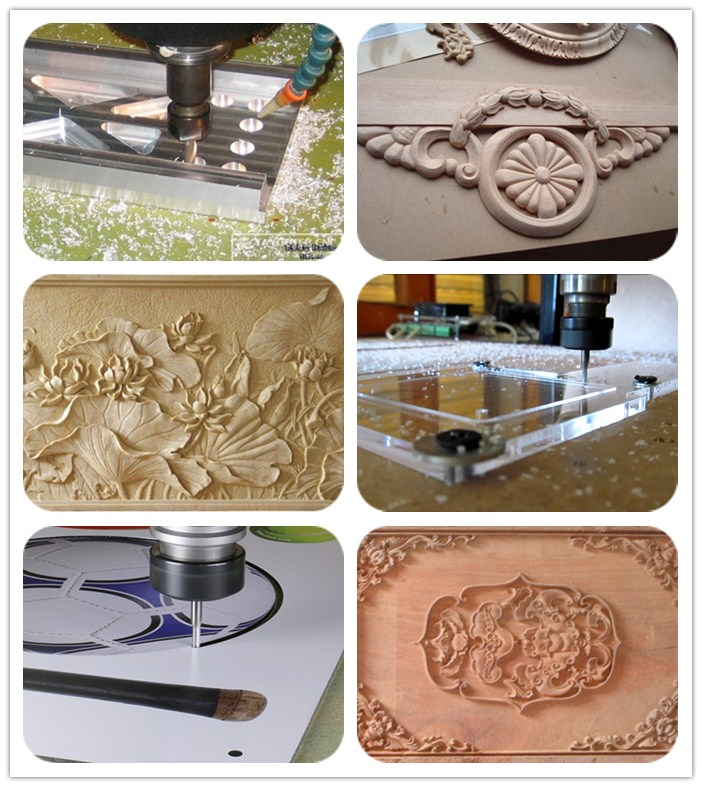 ♥ Decoration industries: screens, wave boards, large-size wall hangings, advertising boards and sign making. ♥ Arts & Crafts industries: Engrave on artificial woods, bamboos, organic boards, double-color boards and so on for achieveing effects of exquisite patterns and characters. 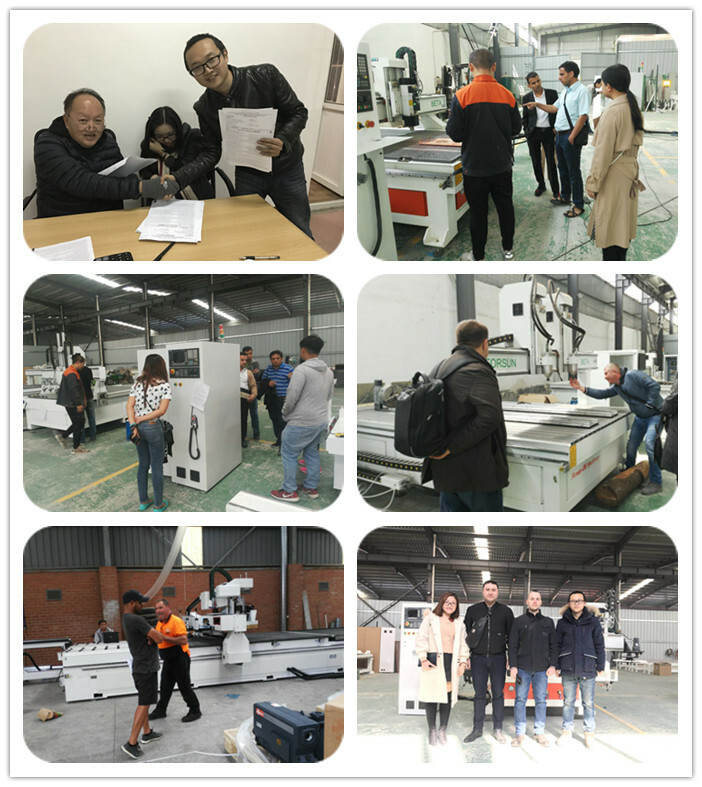 ♥ Processing material: engraving, milling and cutting processing for acrylic, PVC, density boards, artificial stones, organic glass, plastics and soft metal sheets such as copper and aluminum.